After having retired the Duster for good I had been without Detroit wheels for a while and was now driving an old VW delivery van as a wintercar. 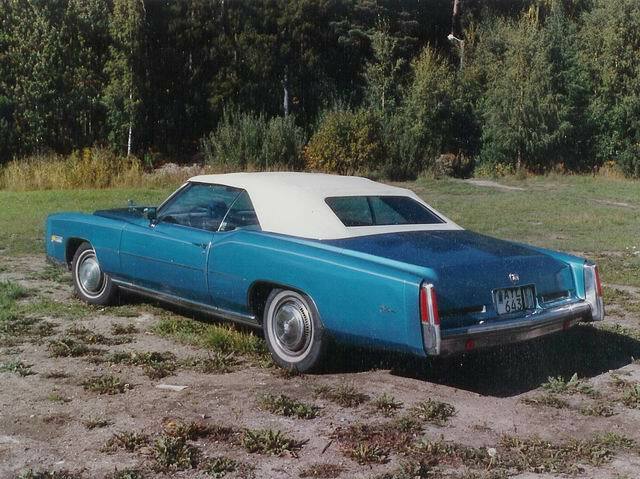 For a long time I had been looking at fullsize convertibles and what's better than a Caddy ? Found this one in an ad in a national newspaper. It said low mileage. My buddy drove me there to have a look at it on July 13, 1988. It was late in the summer and I wanted a car like this so bad and that makes you blind. In fact it was in a rather bad condition and definitely not low mileage which was revealed as I later studied the registration papers from Florida. The little box saying that the meter had rolled over was ticked so that added an extra 100k miles. Anyway I bought it and payed 80000 sek for it. 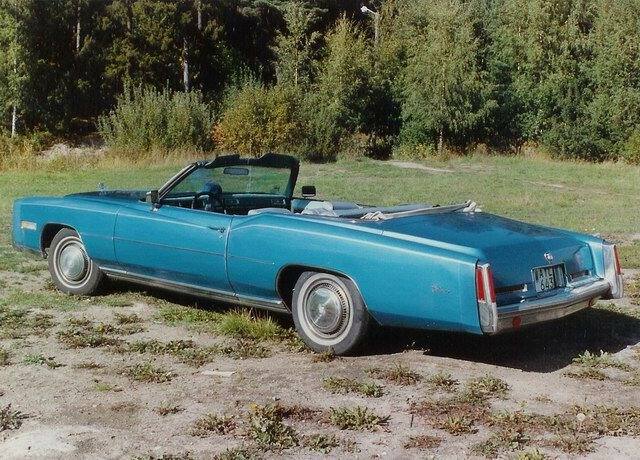 The rear plastic panels were missing, the convertible top was really bad, the whole interior was not in the best shape and the enginge was consuming quite some oil. This goes to show that one could be really stupid sometimes. In addition to this there were also some rust in lower parts of the front fenders and the trunk lid but I guess the worst was the sheet metal between the top and trunk opening. Florida cars seem to rust in the strangest of places. 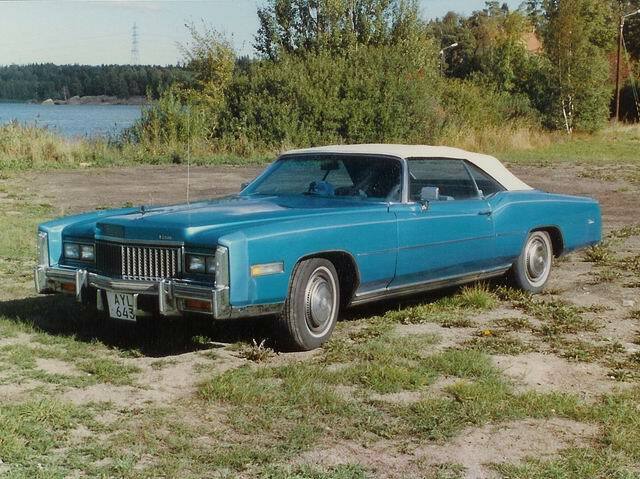 I drove it during 4 summers while having a garage in Södertälje during the vinters. 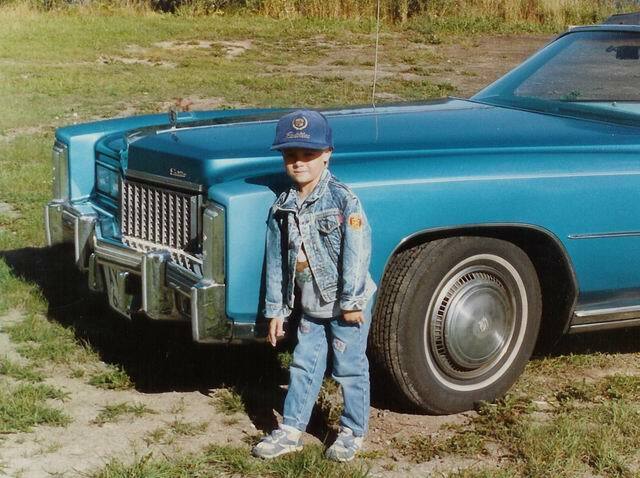 After the winter of 90-91 I had to leave the garage so when fall came I had to sell. 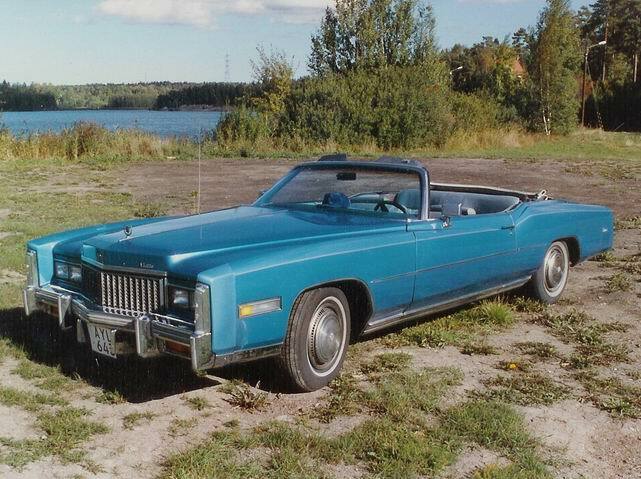 With receipts for parts of over 25000 sek I almost gave it away for, I believe, 67000 sek. I worked on it during the winter and fixed all rust. At a business trip to the Northwest of the US (Oregon) I brought home several nice-to-have stuff from an auto wrecker e.g. the missing rear plastic panels and more. In the spring time I had the convertible top replaced and that alone made a heck of a difference. Pictures probably from the summer of 89. Powerful front, ain't it ?